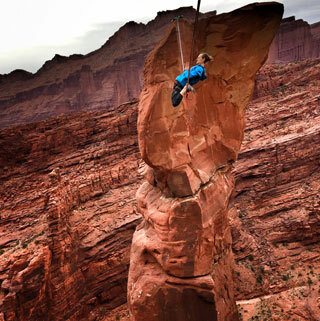 Michelle explores the outer world and the inner world while living in Moab, UT. She feels the most passionate while guiding others towards their passions. Most of her time spent in Moab and while traveling involves "highlining" (Slacklining above great heights), canyoneering, and practicing acrobatics and yoga. She is a certified Yoga Teacher, and has studied body working in the form of Thai Yoga Therapy. 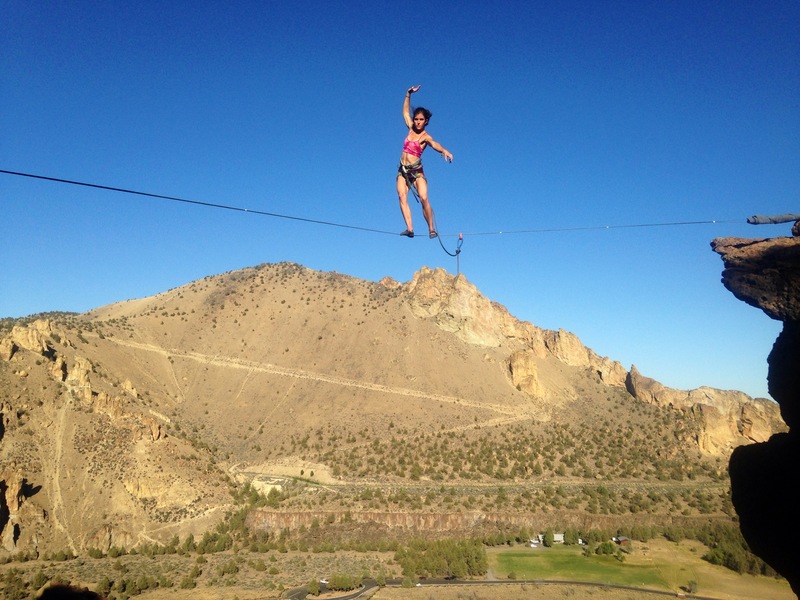 She actively teaches and practices slacklining on many levels with the YogaSlackers. She is a certified AcroRevolution acroyoga instructor. She's traveled to 18 different countries and has stories from all of them that she loves to share.